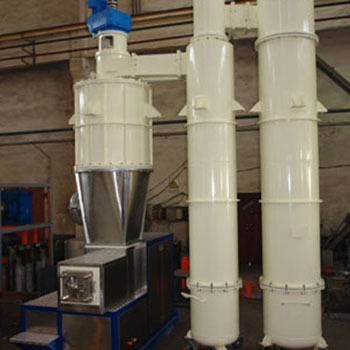 Vacuum drying system is a key part of the soap production line. The main function is to dry and cool the liquid saponified soap base to solid soap noodles. The vacuum drying system can control the fatty acid content (the active ingredient), thus to control the product’s quality and the materials consumption. The main machines are vacuum dryer, heating exchanger, fine separator, barometric condenser, soap noodle pellitizer, vacuum pump and so on.